IU’s Office of the Provost and Executive Vice President has launched a new series titled “IU 2020” to celebrate IU’s bicentennial. The project will follow 12 current freshmen on their four-year journey at IU as they strive to find their place on campus and grow as individuals. The students come to Bloomington from all over the country — from Indianapolis to India to Australia. The group includes scholars, artists, athletes, musicians, activists and thespians all pursuing various educational paths across campus. From their first day on campus to the moment when they toss their caps in the air at graduation, their varied experiences will be documented, united by the commonality that they’re each a part of the IU community. 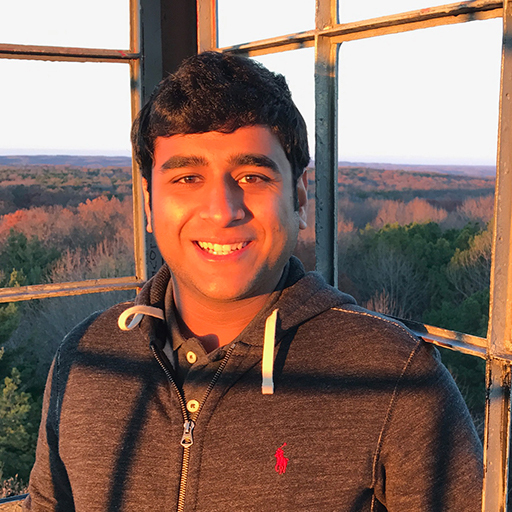 Yash Agarwala comes to IU from Kanpur, India, to study accounting and finance in the Kelley School of Business. He’s also working toward a minor in apparel merchandising and interior design. As the freshman representative for the IU Student Foundation, Agarwala is getting involved on campus by helping to plan the 2017 Little 500 race. Spencer Biery is a Bloomington native who is studying nonprofit management and leadership in the School of Public and Environmental Affairs. Even though they have lived in Bloomington for half of their life, Biery is still discovering most of campus for the first time, like their fellow class members. Off campus, Biery is involved with the Prism Youth Community and has developed a passion for community-focused work through that experience. Courtland Crenshaw is from Indianapolis and is majoring in athletic training through the School of Public Health-Bloomington, with a minor in Spanish. His dream is to work for an NFL team. He’s involved in several campus organizations, like the Black Student Union and the Public Health Student Organization; as a scholarship recipient, he takes his studies very seriously. Neha Bhasin is from New Delhi, India, and is in the Kelley School of Business studying marketing. Her love for people and communicating is strong, so she appreciates that she can pursue all of her academic interests at IU -- marketing, journalism and public relations. Being far away from home makes her a little homesick, but having made friends with other Indian students as well as students from all over the world makes the transition easier. Doña Eliassaint is from Indianapolis and studies anthropology in the School of Global and International Studies. As a resident in the Global Village Living-Learning Community, Eliassaint loves being surrounded by fellow students interested in international issues. She is passionate about learning different languages and the culture surrounding them. Since her parents are from Haiti, she jumped at the chance to take a Haitian Creole class, a foreign language that isn’t offered at any other university. Jayla French is from Fishers, Indiana, and she is on the pre-med track with a degree in biology. Since she was young, she has watched her mother struggle with lupus, an autoimmune disease, which made French realize she wanted to go into a field where she could help people. In high school, she participated in research, so the opportunity to attend a great research institution drew her to IU. French participated in the Intensive Freshman Seminar before starting her freshman year, and now she is involved in programs like the Minority Association of Pre-med Students and the STEM Outreach program, which allows her to tutor kids in STEM subjects. Kendall Gibson, and Indiana native from Zionsville, is studying geological science. After graduation, she hopes to work for the National Park Service, utilizing her interest in cave systems. On campus, Gibson is involved in a variety of clubs and organizations that allow her to explore all of her interests, including science, ceramics and photography. While at IU, she’s looking forward to having opportunities to travel, particularly to several state parks around the country. Emily Leung comes to IU from Perth, Western Australia. She is studying violin at the Jacobs School of Music. Leung met Jacobs School professor Mauricio Fuks at a music festival in France in 2015, and she visited IU and shadowed Fuks later that year. Now she is in the Wells Scholars program, where she can also pursue her love for literature. Grace Liu is from Beijing, China, and studies business in the Kelley School of Business. As a high school student living in Tennessee, Liu developed a small jewelry-making business. One of the main draws of IU was the ability to study both business and fine arts. She is in Alpha Kappa Psi business fraternity and a member of the American Marketing Association, but being surrounded by motivated, business-minded students in the Kelley Living Learning Center has inspired her to get even more involved on campus. Aidan Whelan, from Bloomington, is in the first class of IU’s Intelligent Systems Engineering Program in the School of Informatics and Computing. In fact, the creation of this program is part of what swayed Whelan to stay in Bloomington to attend IU. And he is taking every chance to be as active in the program as possible. Whelan, along with five other students, created IU’s first Engineering Club, “INgineering.” He’s looking forward to expanding the club over the next four years.